Henna is traditionally used as a brown or dark-red hair dye or as a tattoo ink. However, the henna plant (Lawsonia inermis) from which the dye is derived can also be good for the health. In fact, it can prevent liver damage, according to a study published in the journal BMC Complementary and Alternative Medicine. In the study, a team of researchers from Guru Nanak Dev University in India looked at the antioxidant activity and other protective properties of henna leaf extracts against liver damage. The research team evaluated the antioxidant activity of the leaf extracts of the henna plant. The team also examined the plant’s ability to protect the liver from damage by administering henna leaf extracts to mice with chemically-induced liver damage over a period of 15 days. The henna leaf extracts were given at three doses: 100 milligrams per kilogram (mg/kg) body weight; 200 mg/kg body weight; and 400 mg/kg body weight. The henna leaf extracts exhibited powerful antioxidant activities, suppressed lipid peroxidation, and reduced ferric ion activity. In addition, all three doses of the henna leaf extract led to a decrease in liver damage and liver disease parameters, such as serum glutamic oxaloacetic transaminase (SGOT), serum glutamic pyruvic transaminase (SGPT), and alkaline phosphatase (ALP). The henna plant extract also reversed liver damage in mice by restoring the normal structure of the liver. The research team suggested that the protective effects of the henna plant can be attributed to its different polyphenolic phytochemicals. Based on the findings of the study, the research group concluded that the henna plant protects the liver from damage by suppressing free radicals and minimizing oxidative stress. Improves hair health – Henna is a safe dye that does not damage the hair. It has been known to increase hair strength and seal the hair cuticle, preventing hair breakage. It also makes the hair shinier, improving hair appearance. In addition, a traditional mixture of henna juice or oil and curds can prevent hair loss. Strengthens nails – Drinking water steeped with henna leaves can help protect the nails from cracking and reduce inflammation. Moreover, directly applying a poultice to the nail beds can eliminate irritation, pain, and infection. Heals wounds – Because of its antibacterial and antiviral properties, henna is used for fighting skin infections and inflammation. Thus, it is applied to burns, wounds, and scrapes. Moreover, it has a cooling effect when applied to the skin, making it useful for sunburns. 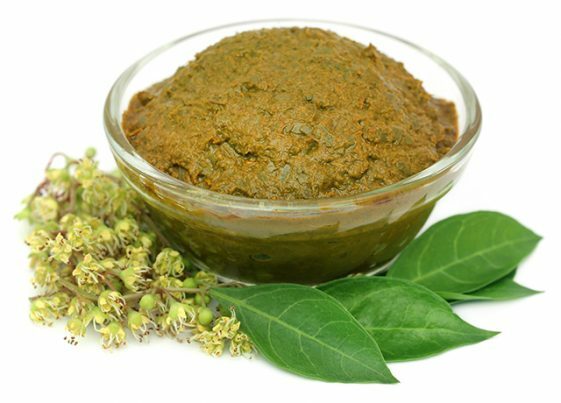 Treats fever – In Ayurvedic medicine, henna is used to relieve fevers. This is because henna cools the body. Relieves headaches – Directly applying the juice of henna plant on the skin can relieve headaches. This effect can be attributed to its anti-inflammatory properties that reduce tension and stimulate healthy blood flow in the capillaries. Read more news stories and studies on natural cures like the henna plant by going to Cures.news.